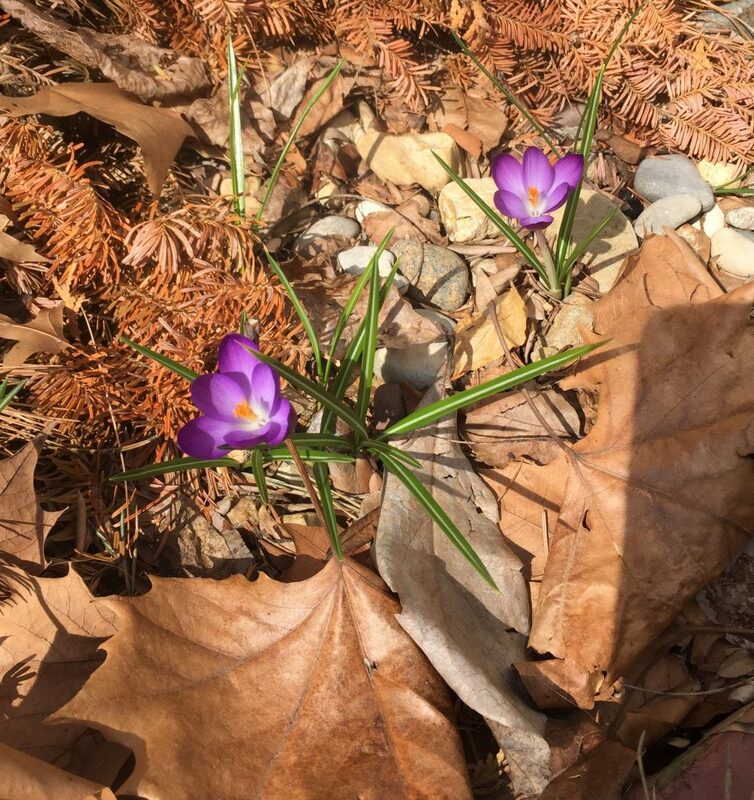 Ahhhh..Spring is back. How do I know? 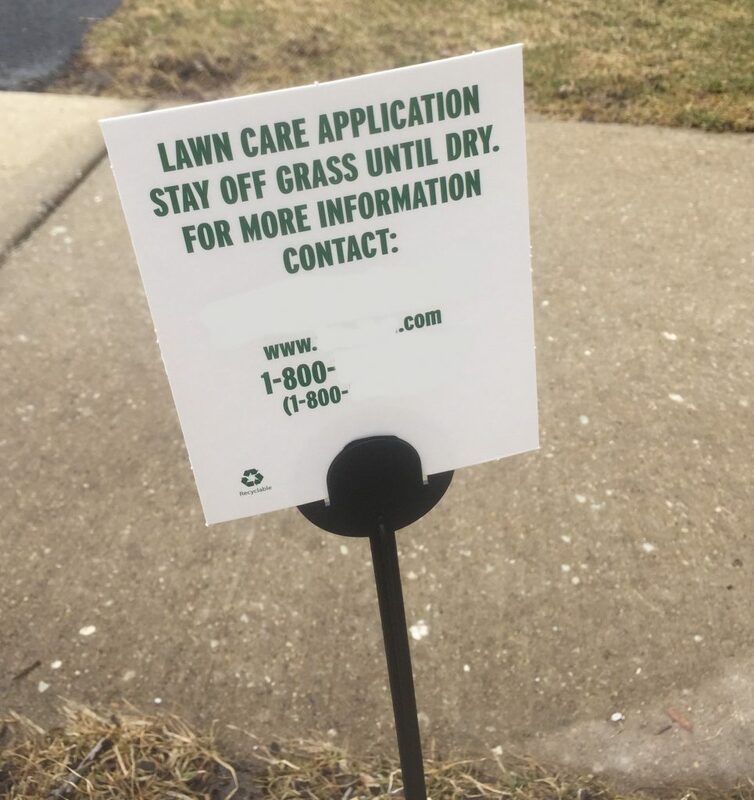 Most important of all – Lawn care signs have returned! 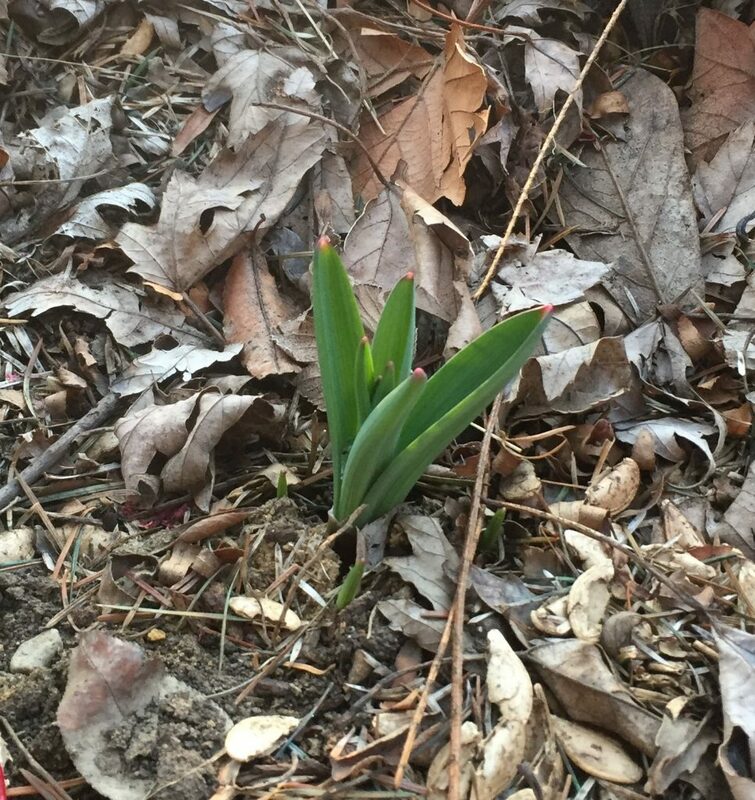 Those are a few signs that Spring has returned! What signs have you seen in your neighborhood. Let us know in the comments. 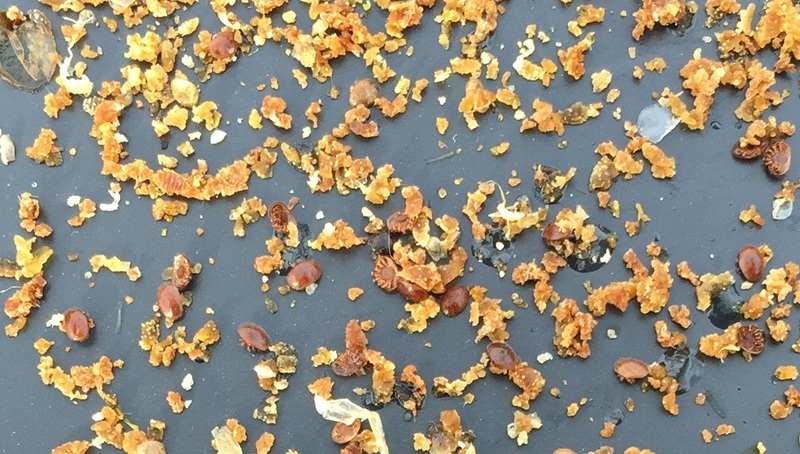 Did you battle varroa mites this year? How well did you do? Did you win or lose? Our 2016 varroa management strategy was simple. We were going to treat, treat, and treat some more. Here was our treatment plan. Treat all new packages with one oxalic acid vaporization after being hived but before brood was laid. 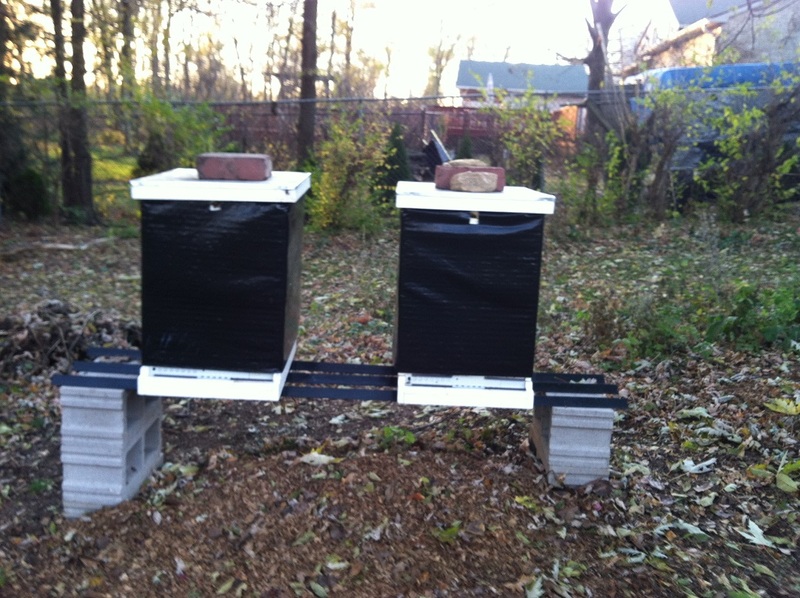 Treat all over wintered hives before they build up to far with oxalic acid vaporization three times 7-9 days apart. Treat all hives with oxalic acid vaporization three times 7-9 days apart. Treat if necessary in the Fall. Treat again with oxalic acid vaporization, apiguard, or apivar depending on the weather. Treat with oxalic acid dribble if necessary. We completed part one of the plan and we were in the clear. We did not see any queen problems caused by vaporization. We did have some slow queens and some that the bees did not like. They raised new ones and those hives went on to build up nicely (eventually). Most hives produced honey. Some that had queen issues did not produce much if missed their main flow. But by June, overall, our hives were stronger than ever. They were producing a good honey crop for us and appeared very healthy. We even had a visit from our local inspectors to see how we were doing and they found no problems and no mites when they tested. When we completed part two in September we had harvested our main honey crop. A little bit of goldenrod honey was being made on our western bee yard. An exhausting summer was completed. We had just completed 6 mite treatments for the year. Maybe we were ahead of the curve. 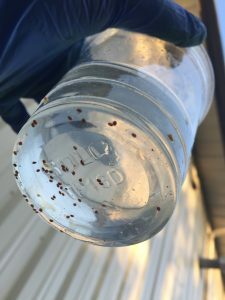 Reports started coming in about neighbors having very high mite counts. And not just a little high. They were astronomically high. Bee inspectors had diagnosed parasitic mite syndrome on entire apiaries not far from ours. All of those bees were going to be lost. At this point we were very worried about our bees and we decided to do some mite testing of our own. The samples we took were on the lower side (comparatively) in some of our bee yards. But in yards close to other problem sites the mite counts were extremely high. There were so many mites in the bottom of the test cup that we could not count them all. This is a bad situation. It is highly likely that our previously treated hives became mite infested by neighboring colonies with high counts. These mites were probably vectoring diseases and our hives were probably going to die. So what do do? 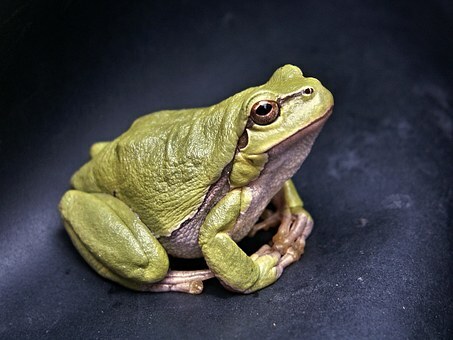 Part of animal husbandry is taking proper care of the creatures that you are entrusted with – from life until death. Because of our duty, we decided to treat our bees even if they were eventually going to die. It was imperative that we do so right away. 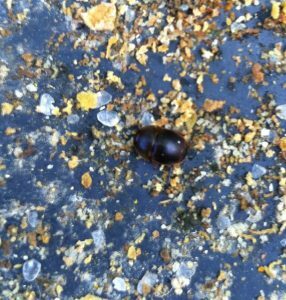 Even if they die or abscond it was important that we do not let any more mites out into the environment. These mites would endanger other neighboring colonies and these would become a victim like we were. This is being a good neighbor to our neighbors and our neighbor’s bees. So an emergency trip to Dadant was made and treatment products were purchased. Spacer boards and Apiguard (Thymol) was purchased for as many colonies as we could get product for. Everything else would get ApiVar (Amitraz). The treatments would be supplemented with oxalic acid dribble every 7-9 days. By the end of the season we had treated 9 or 10 times depending on how you calculate it. This is a lot of work to just try to save our bees from someone else’s lack of animal husbandry. It is also a lot of work to do when you are just going to lose a high percentage of the colonies anyway. And lose colonies we did. All of the colonies that were near other high mite count apiaries ended up with high mite counts and mite related diseases. They all failed. These yards experienced 80% losses or more. Overall our losses are at 50%. These types of losses do not make any kind of beekeeping operation sustainable. If a dairy operation lost half of its calves each year or half of its heifers it would be a disaster. The only reason why 50% losses for beekeeping is not taken notice by many is that the bees can be more resilient than the beekeeper under certain circumstances. The more articles that we read about varroa mites, the more they mention varroa bombs and describe the problems we are having. (Jerry Hayes, Randy Oliver American Bee Journal Vol. 157 No.1; Toni Burnham Bee Culture Jan 2017; Randy Oliver Vol. 156 No 12; Randy Oliver Vol. 156 No 11). We have been experiencing this for the last few seasons. Despite our treatments bees get reinfected and end up dying. One lesson should be learned from all of this. No one beekeeper can keep bees alone or solve his or her mite problems by themself. Bees are social insects. Beekeepers need to be social and work together to fight the problem before all the gains we are making in beekeeping in our home towns are lost. Be a good beekeeper. Be a good neighbor. We will be feeding pollen patties next week and starting to clean out dead outs. Hopefully the losses will not get any worse. By the time the replacement bees arrive, we need to have our mite management plan ready. Have you figured out your plan for 2017? A mouse nest in a five frame Nuc box. 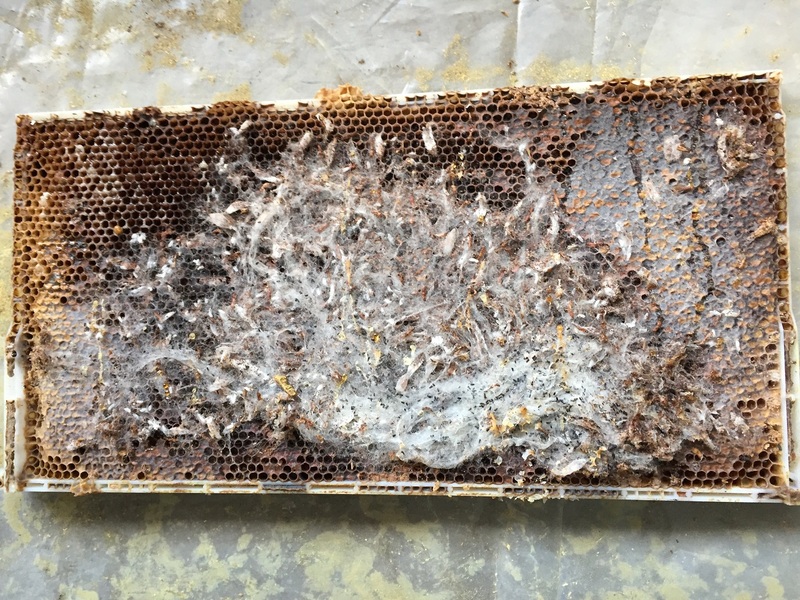 Wax moths and mice are common pests for bees and beekeepers. We have had more experience dealing with them lately for some reason. Here are some of our experiences with these two pesky pests. 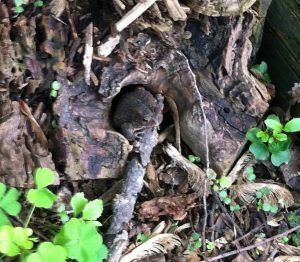 Mice enjoy building nests in the depths of boxes, especially when they are stored away. Sometimes they can get away with living at the bottom of a hive while the bees keep themselves warm and eat honey, pollen patties, and candy boards at the top of the hive. To prevent mice infestation we always put on a mouse guard or entrance reducer that eliminate the chance of having mice enter our equipment that is out in the field. In fact, we typically use this device year round because limiting the opening helps the hive defend against hive beetles as well. Mouse poop and chewed up comb. All of this smelt very bad. To prevent mice from getting into stored boxes we always store them on flat surfaces and make sure that they are fully covered. This prevents the mice from entering and damaging the boxes and frames. When mice get into unguarded boxes they not only make a home for themselves, but they defecate all over everything. If there are frames of drawn comb, they will chew on the frames and eat the foundation and its contents. This destroys the work of the beekeeper and the bees. 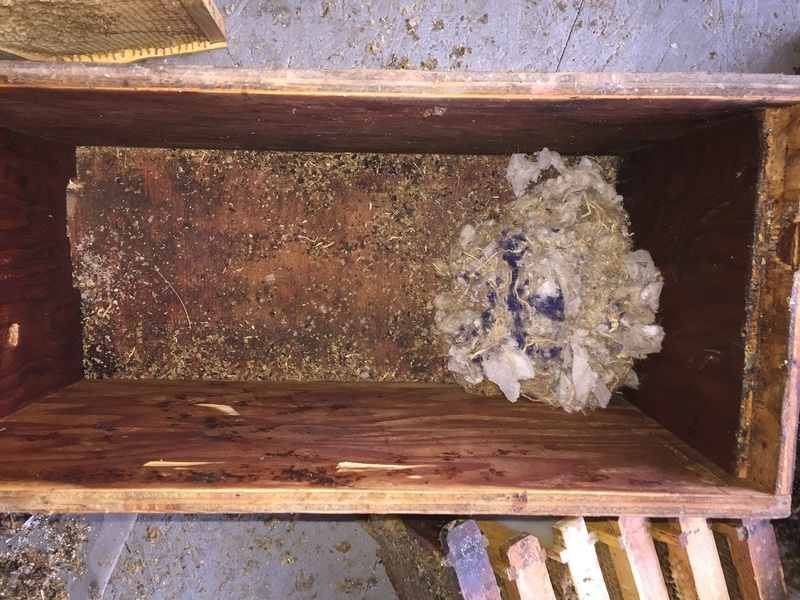 Urine soaked frames and boxes are virtually unusable by bees and beekeepers. All of our honey supers are kept in our garage in the off season. 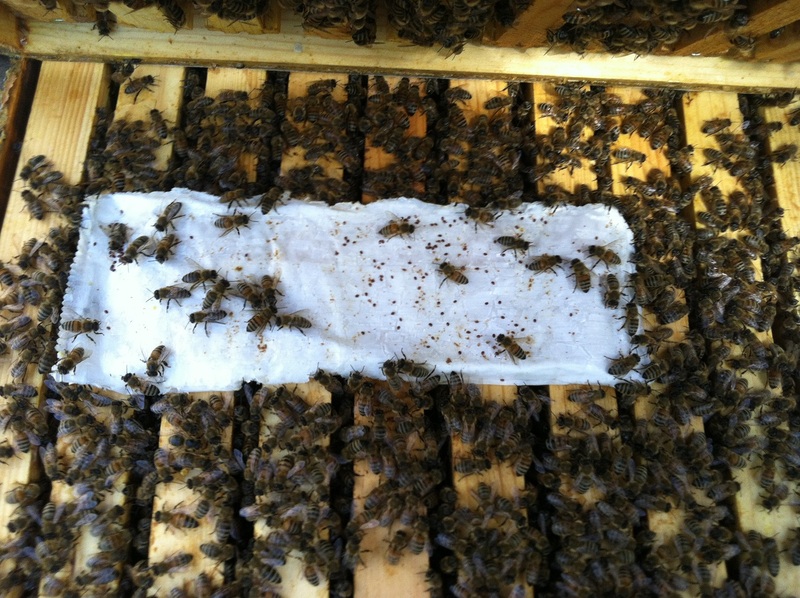 Besides honey supers we do keep some drawn comb deeps that we store for future use from time to time. Also we have a few boxes of used frames that are waiting to have their wax melted by our wax melter and the frames cleaned and reused. All of these things seem to draw a wax moth in. Especially in our garage. the drawn comb seems to be especially tantalizing to the wax moths. 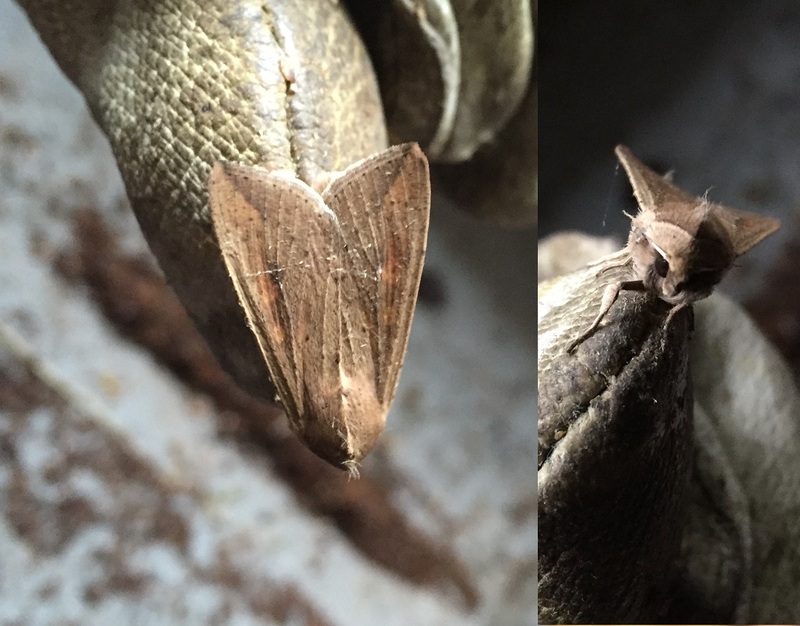 Despite the fact that we use moth repellant on our supers the moths tend to find us.. It must be the old comb that we like to melt down in our wax melter that draws them in. In the future we will be storing less of this comb. 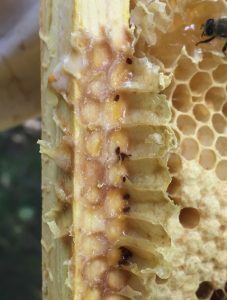 Wax moths can only reproduce inside a bee hive, and the only way they can get on the wax comb is because the hive is weak or the beekeeper let the bees get to the precious wax. The Lesser Wax Moth. (Achroia grisella) Top and front view. This year we took over the management of the honey bees at a local vegetable farm. We started by cleaning up the equipment, which was left virtually unprotected by the previous beekeeper. This left us with less than half of the equipment in usable condition. Wax moths and mice damage was very severe. The pictures you see are from this experience. Hopefully protecting comb and equipment will be everyone’s priority. If our cleanup and management efforts are successful, the good news is that we think this new location will produce decent amounts of honey for us and the landlord. Hopefully things will go as planned!!! We always thought that these were Monarch larvae or caterpillars. We were wrong. They are the Tussock Moth Caterpillar. When we became beekeepers we started to become more aware of what nature had going on around us. One of the things we noticed were the other creatures that we share our bee yards with. We took the first picture and though we were taking pictures of the famed Monarch Butterfly caterpillar. We were happy to see them, but when we looked up information about the fuzzy friend, we found out that we were not correct with our assumption. It is actually the Tussock Moth caterpillar that we were seeing. 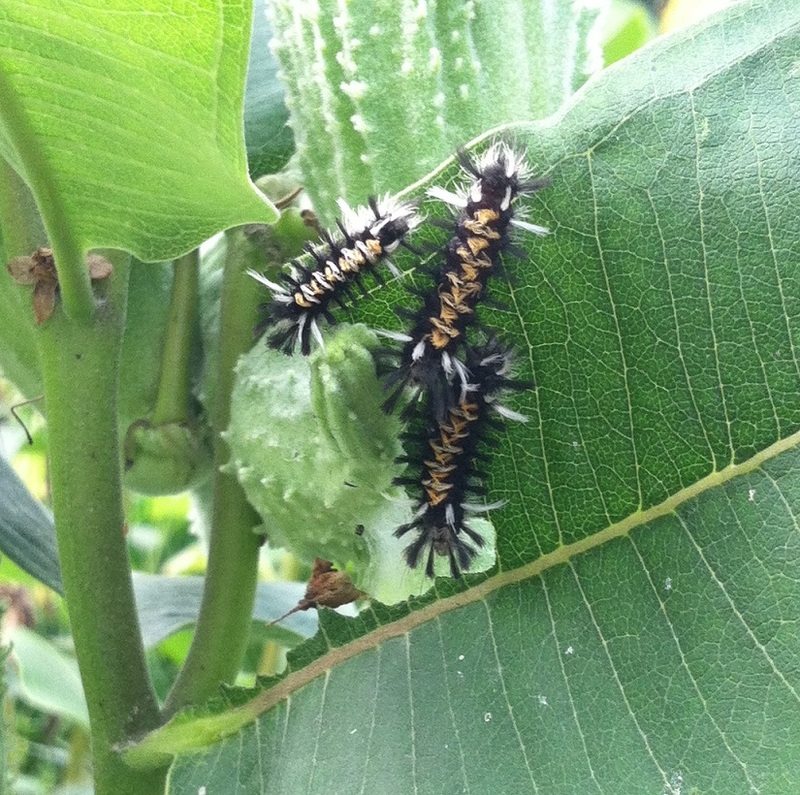 They like milkweed too! They have a distinctive appearance of alternating bristles and haired projections that makes them hard to miss. But those are not just for looks. Hidden in the fuzziness can be urticating hairs which can cause painful reactions if they come into contact with skin. 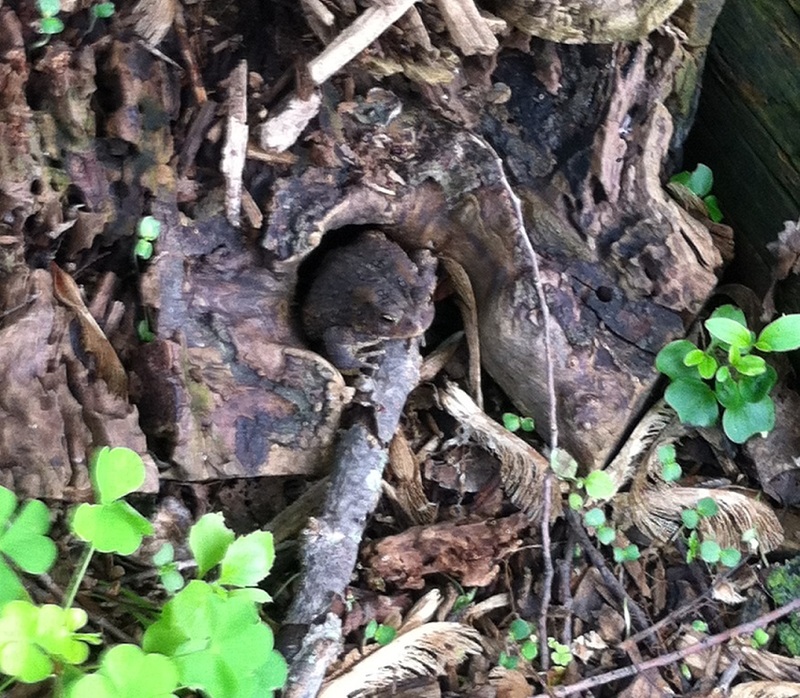 We also had a fun visit from the American Toad. He, or she, was hopping along on its way home. We looked down and saw it sitting on a telescoping cover for a while when it was laying on the ground. After a little bit it moved over into a hole in the base of a tree next to where we were working. It definitely kept a keen eye on us. This next happy little caterpillar is destined to become the Monarch Butterfly. 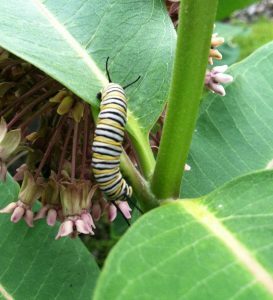 Although we rarely see Monarch Butterflies anymore due in part to the limited availability of their habitat – the plants of the milkweed family, every once in awhile we do get to see a caterpillar on milkweed at one of the farms we keep bees at. The Monarch may be the most familiar North American butterfly, and it is considered an iconic pollinator species. Much of the North American Monarch population migrates south in the late-summer/autumn to migration to Florida and Mexico. During the fall migration, monarchs cover thousands of miles, with a corresponding multi-generational return north. 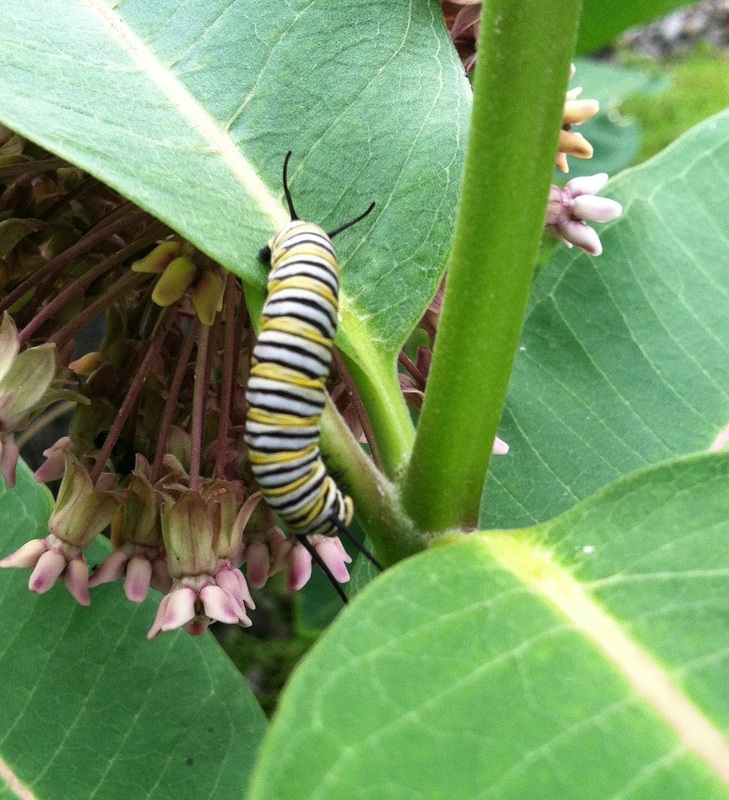 There has been a great deal of food and habitat loss that the Monarch needs to survive. Hopefully there will be some work done to help out the pollinators. Especially the Monarch. Now that the weather is cold, and the bees are put to bed for the winter, we are thinking about all the other creatures we met this year! Ever since we started beekeeping we have been using the West Trap in conjunction with the bottom board. 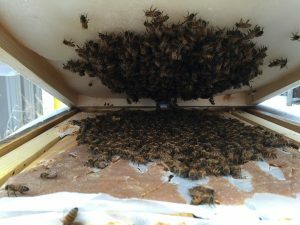 Over the years we have learned that it is very easy to see what is going on in the hive just by pulling the tray out. We use the west trap to monitor hive activity when we need more clues as to how a colony is doing. We clean them our regularly and keep them in all year long. Most of the time just as a tray with no oil or liquid in them. For instance, if you see a lot of fine chewed up brown or light brown cappings, you know that brood has hatched. Remember, when the young bees chew out of their cells, the cappings just fall the floor of the hive. If you have a screened bottom board alone, it is not possible to see what is happening without a tray to catch the evidence. How about white cappings? This would mean that the bees are eating stored honey. Unlike brood, which has a dark capping, honey typically has a white capping on it. If this is observed, it is usually time to get a closer look. It could mean robbing or, if outside of the normal nectar flow, that the bees do not have enough to eat and are eating stored resources. Seeing sugar crystals may indicate this as well, since honey can crystalize and the bees will not be able to eat the crystals. They simply clean them out of the cells. If you varroa mites are observed then it may be time to see how infested the colony is. Treating may also be in order. How about if a hive beetle is seen hiding down there. Beatles will be chased down into the trays by the bees and will stay there until they find a way up again. Remember, the West Trap is actually a beetle trap. When beetles are seen down there it is definitely time to put the “kill” agent in the trap. To trap and kill hive beetles we use mineral oil. It is an agricultural product that can be purchased by the gallon at most farm supply stores. Some beekeepers use vegetable oil. Either will work, but we prefer the synthetic oil that will not ferment on its own. We add a tablespoon or so of cider vinegar as an attractant. 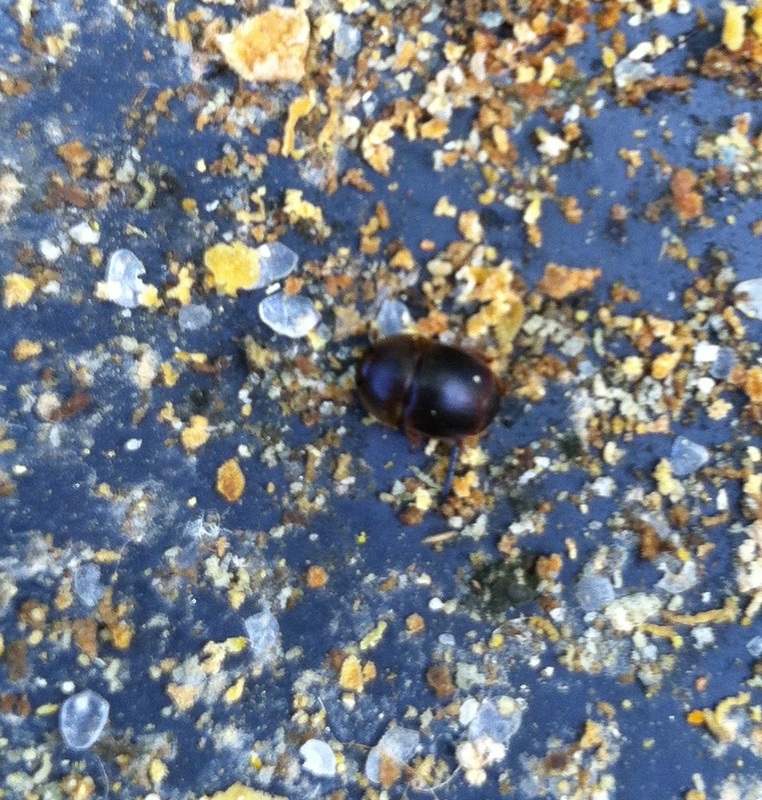 Hive beetles cannot resist the smell and enter the trap willingly only to drown in the oil. 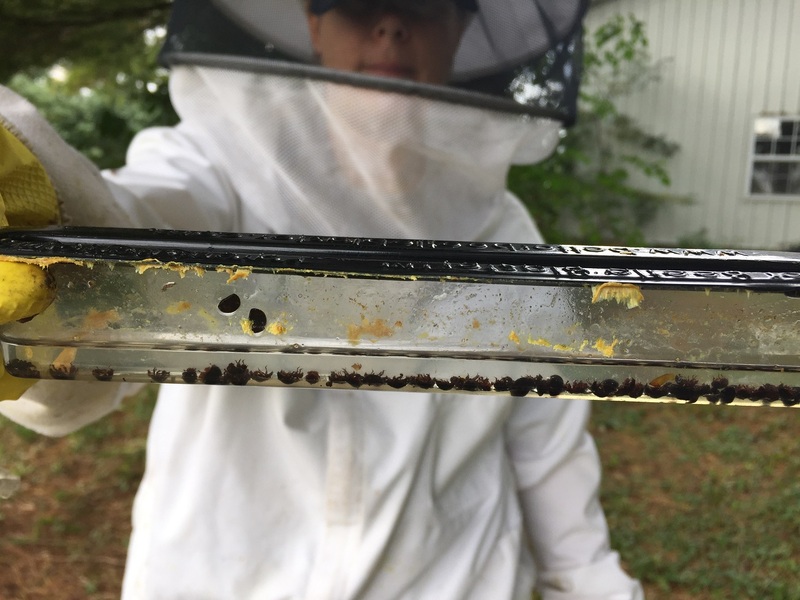 If hive beetles are seen on frames the West Trap may not be enough. We then turn to beetle blasters or some other trap that sits in between the frames. These are filled the same way with mineral oil and cider vinegar. Care must be taken so as not to spill them on the bees or on the frames. 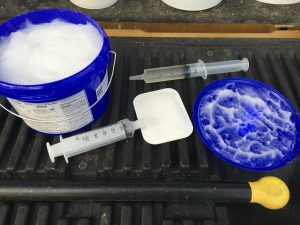 How about during and after a mite treatment? These trays are very useful when assessing mite drop. How else would we know if a mite treatment has worked or not? After the treatment period seeing dead mites on the tray would indicate that the treatment worked. Since we use the screened bottom board we always have a west trap in the tray slot. It allows us to see what our bees are doing, monitor and control pests, and help gauge treatment efficacy. Remember, it is not just trash down in that tray. It is vital beekeeping information!!! This year it has rained at least once every week since spring started. Most weeks it has been raining twice a week at a minimum. Now summer is supposed to have taken over and it is still raining way too much. This is not only disconcerting for the beekeeper but it is very disconcerting for the bees. Worse yet, we are starting to see the problems that this has caused and the errors of our ways. As most beekeepers do, we purchased packaged bees and new equipment for replacing our dead outs and expanding our operation. We hived the packages and began feeding sugar syrup and pollen patties. Once the nectar flow was starting, or scheduled to start, we removed the feed from the hives and added honey supers. The rain kept coming every week. When we checked on them the bees never seemed truly happy. And we noticed that the new packages queens had a poorer acceptance rate than we are used to seeing. We gauge this on the number of queen cells produced by colonies started as packages. Nearly all were building at least one queen cell. Some had multiples. This despite the fact they had a queen that was laying eggs and apparently operating normally. Usually this behavior is only seen in a few new package colonies and usually if they do it at first, the behavior goes away as the season goes on and the nectar flow starts. We made a few nice nucleus colonies with these cells, but after a while it becomes very disheartening to keep destroying large swarm and supercedure cells. Then during our inspections, we started seeing problems with mites. But the problems are much more advanced that we have seen before. 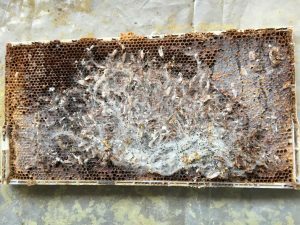 Normally at this time of the year we would only see one or two mites occasionally if at all, especially on a brand new hive, but this time we are seeing many more. We can actually see mites on some of the bees in the new hives that were packages just a few weeks before. 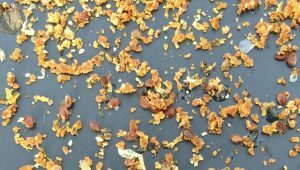 If you can see the mites on bees, just imagine how many there are on the rest of the bees and how many there are living beneath the cappings. We removed drone brood to find hordes of mites. This was very alarming. To prevent problems down the road we decided to be proactive and we reached for our weapon of choice, mite away quick strips or MAQS. We saw some mites drop, but not as much as we expected. At this point we were hopeful that the mites in the cells had died. The treatment seemed to exasperate the problems that we were seeing with queen acceptance and absconding. Now where there were just a few cells we saw six. Where there were six we saw a dozen. We tried re-queening a few with new queens from our supplier, but the same thing happened all over again. So we decided to let nature take its course. Most of our new package hives swarmed because of all the cells that they kept producing. Others completely absconded by the end of the season. After it was all over we realized that their lack of food caused by the inability to forage, the mite treatments, and our inability to realize that we needed to feed the bees during the time of stress, all contributed to the problems that we were having. The problem ended in a honey crop failure for us. Lots of rain did not produce lots of usable nectar for our little bee friends. Hopefully the goldenrod flow will be good this fall. We will try to get some this year, despite the fact that we have not had good luck chasing this elusive honey before. Winter in Illinois is becoming more and more unpredictable. After experiencing losing all of our bees due to the harsh winter in years past, we are taking more preventative steps now. Treating for mites is becoming more and more important. Even though we are using small cell foundation, our bees still seem to harbor a higher than average number of mites. Guidance on the number of mites that is acceptable on a test sample seems to always be in flux depending on the literature read or the person giving the advice. But one trend is for certain, the acceptable number seems to be going down. Our fall treatment showed mite drop and the bees seemed to be ok after the treatment. 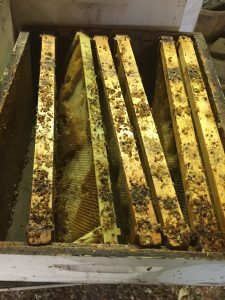 On a few of our colonies we think that either the mite treatment was too strong or the mites damaged the hives too much before we treated because a few were lost before the slow was flying. Luckily the rest seem to be in good shape right now. We purchased a roll of winter wrap that can be cut into any size depending on the equipment that we are using. This is handy as it will allow us to “wrap up” a stack of ten frame equipment, or a single nucleus colony, or a group of nucleus colonies. We will simply cut what we need. It is also great that the manufacturer claims the product to be reusable for many years. The outer layer is a thick black plastic that absorbs heat and acts as a wind break. The inner layers are foam insulation that will keep the heat in. When it gets cold and windy, this is what our hives need! We are also placing a notched candy board with an upper entrance on the hive. This will allow humidity, which rises with warm air, to escape out of the hive. Some of the humidity will be absorbed by the candy board and this will make the sugar tasty and readily available for the bees to eat. Our winter wrap covers the sides and up over the top of the candy board. Hopefully this will keep the girls warm and well fed in the winter! We combine all the ingredients into a large pot and stir it with a paint stir on the end of a drill. Once completely combined, heat until it reaches at least 242 F stirring occasionally so it does not burn on the bottom. 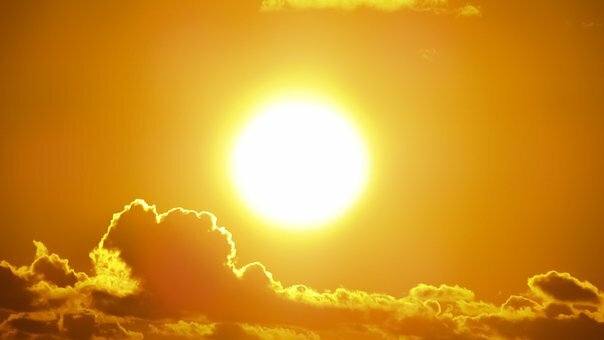 The heat source should be a strong one. Most kitchen stoves will not produce enough heat to make candy boards in a timely manner. We usually heat until 244 – 246 F but not over 248 F. Let it cool until it is below 200 and then stir it up again and pour it into the candy board container. W e place our candy boards on the hives and wrap them just before Thanksgiving. 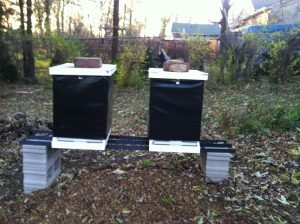 Some beekeepers in our area do it just after Thanksgiving or in mid-December. Since bees need to eat and it can get cold and snow in December, we do it early! About mid winter, we place pollen patties to help with buildup. The bees need to stay strong and start rearing new bees for the new year. Then the cycle will continue. I wonder how many mites there are? I wonder how healthy the bees will be? I wonder how much honey the bees will produce? Varroa mites are becoming more bothersome. This year we treated in the spring and in the fall after we took our honey off. Sticky boars have been our monitoring tool of choice. When we used a sticky board to test we had results from 10 to 50+ mites dropped in a twenty four hour period. This method of sampling is nice, neat and easy. But I do see difficulties with it. It only measure the number of mites being dropped. It does not measure those on the bees or, better yet, living in the cells. It is the ones in the cells we need to worry about! It does not seem like this sampling method takes into account any hygienic behavior either. If the bees groom off mites as they come into the hive then a lot will drop, and I would assume that I have a ton of mites in the hive. Instead, in this case, it would indicate the bees doing the hygienic job that we desire. Maybe a better monitoring method is available. 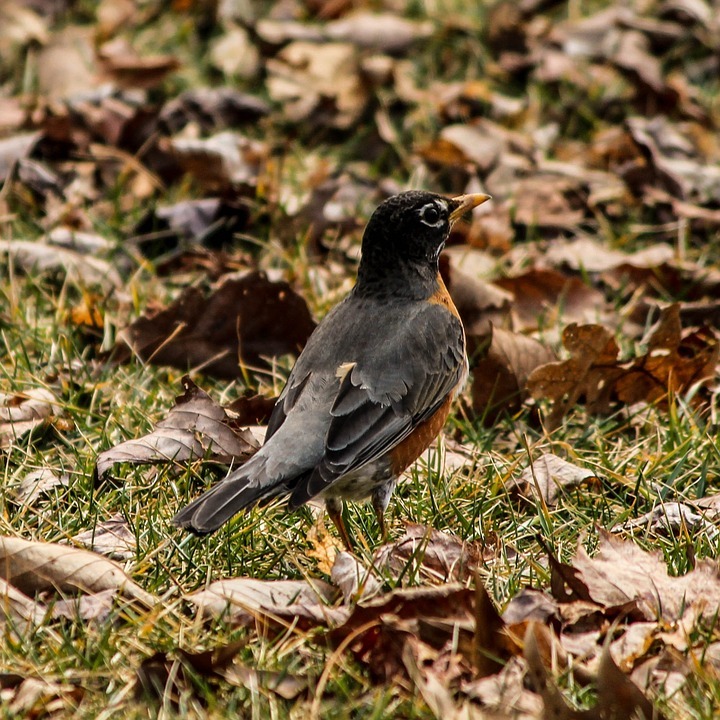 We have treated in the spring and the fall with Formic Acid strips. They actually look and feel more like a patty, but they are referred to as strips. The product is called MAQS by NOD Apiary. This will be the second year we have used this product. MAQS may prove to be quite valuable because they claim it is not very hard on the bees and that it can kill mites in the capped brood cells as well as on the bees. The strips smell harsh and the bees quickly move away from it when you get it near them, so I do not know how well it will work, especially in high concentrations in the long run. Monitoring and planning hive ventilation and maximum daily temperatures during the treatment period are key when using this product. So treating all the time with it may be difficult, even though treatment is allowed with the honey supers on. Our spring treatment showed some mite drop, but the fall drop was enormous. Hopefully it will save some of our colonies from dying from the parasitic mite.